I know everyone will have very different suggestions but yesterday while I was out driving I heard a suggestion on the radio and had to instantly pull over and get my own! I am a VERY new owner of a mobile phone – so new that incoming calls go to message bank as I’m struggling to answer them! So what was the essential item I got yesterday? I’m not sure why it took me so long to get one. 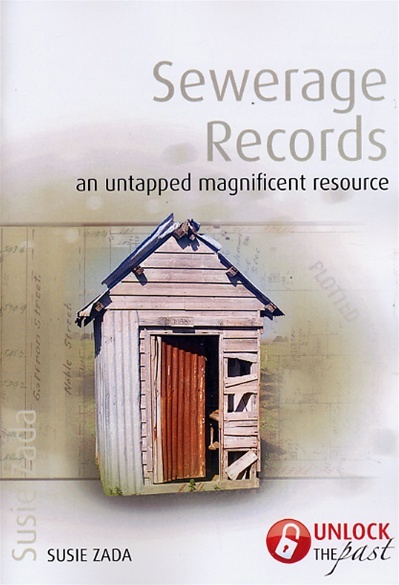 Anyone who knows me knows that my favourite subject is Sewerage Records – I was rapt in this photo on the cover of my book! The item is a phone App called Aussie Loos! There are quite a few to choose from but I grabbed this one – it didn’t even cost a penny! Does it work? Of course – tested it on my back verandah and it instantly located the two public loos nearby. I know this “essential” is out of left field, but what are the other essentials that every good local and family historian should have in their “research backpack”?? ?